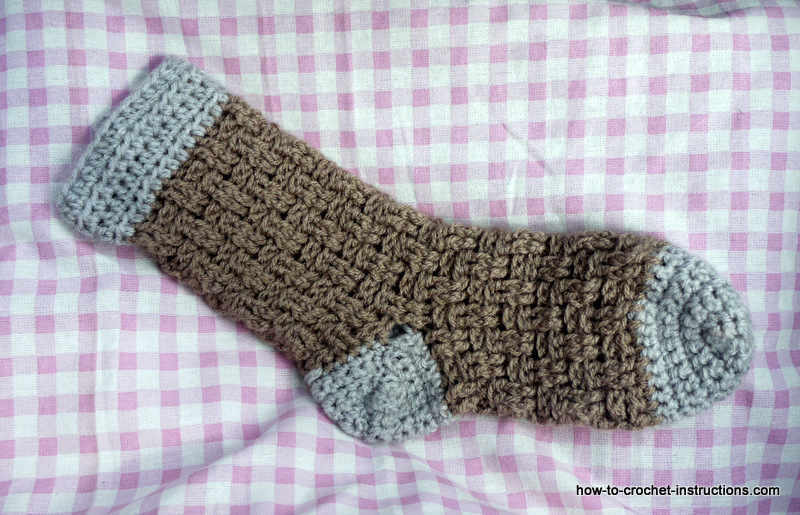 How do you make a crochet sock? 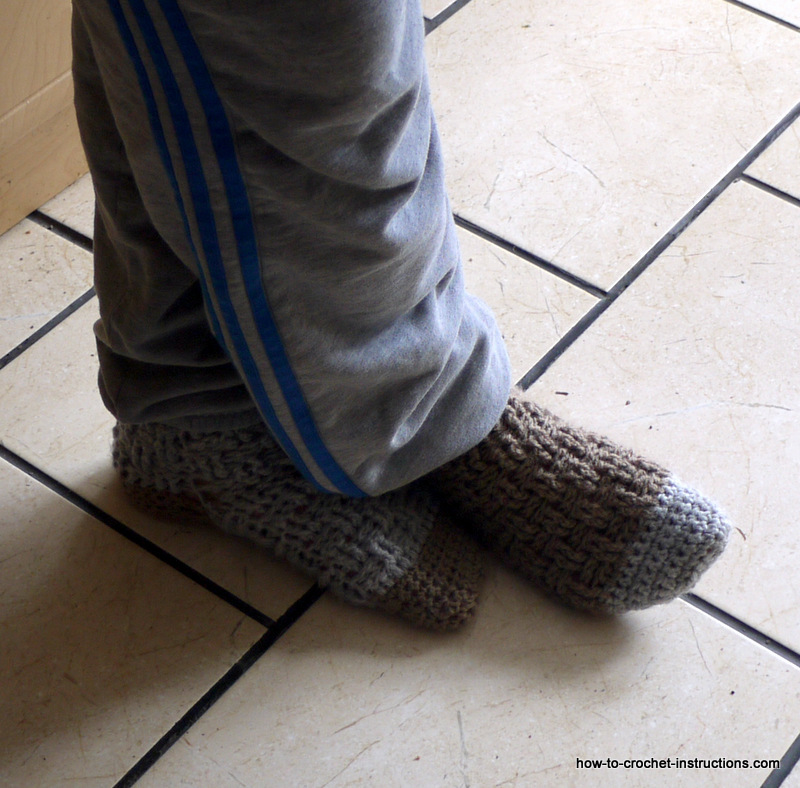 Socks are a weird sort of shape and a little daunting to make. You could of course just crochet a tube and it would probably work perfectly well. After all, that is how nylon tights are made. Basically when you are crocheting a sock, or knitting one for that matter, you are still making a tube. If you have a sock to hand take hold of it and let's examine it together. 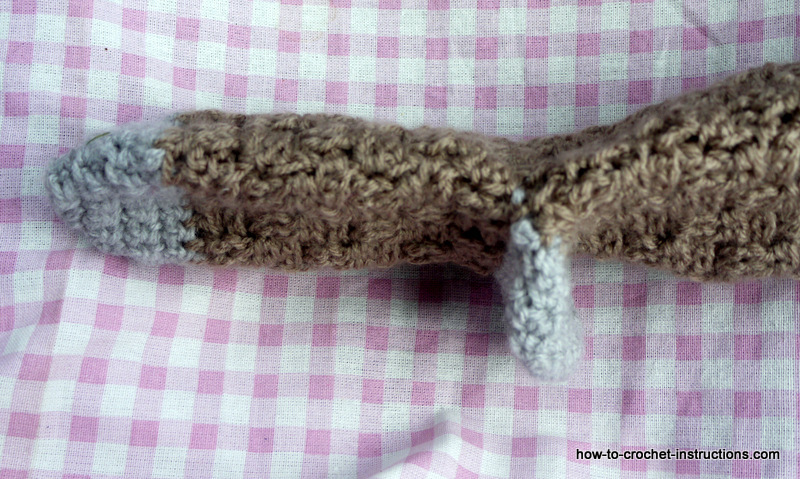 As you can see, what you have now is a straight tube, with the addition of a little flap-like pouch which is the heel. Once you have visualised clearly the structure of a sock in this way, it becomes a lot easier to understand how to make one. 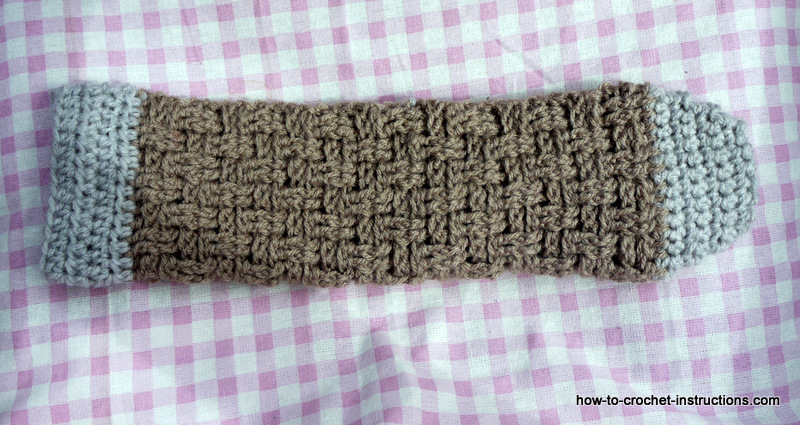 For this pattern you will need double knitting yarn. If you are not sure what the equivalent of double knitting is in your part of the world, choose a plain yarn which recommends the use of 4mm knitting needles. You will also need a 6mm hook. 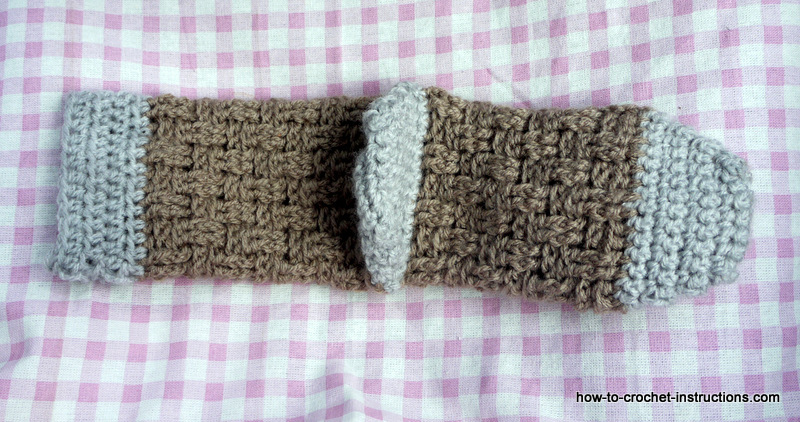 This sounds rather a large hook for double knitting but it works well with the stitch pattern. 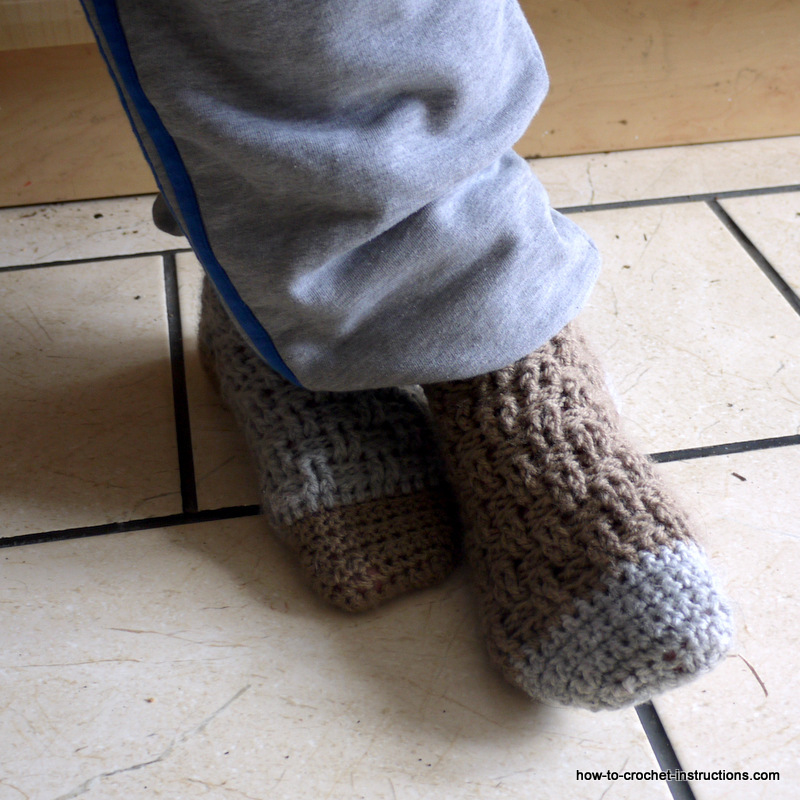 The sock has a bit of a stretch and so should fit most average adult feet. Turn your work so that you are now going to make your stitches into the loops along the bottom edge. Next row: 7dc, 2dc in last st then sl st into the "step" 2 rows below. Next row: Miss the sl st, dc into the next 8 sts 2dc into the last st.
sl st into the next "step"
Change colour at this point if you are using 2 colours. Go back to where you left off the basket weave pattern. Pull yarn through and work 14 pattern sts, then 14 htr across the 14 dc of the heel. Join with a sl st to form a round again. 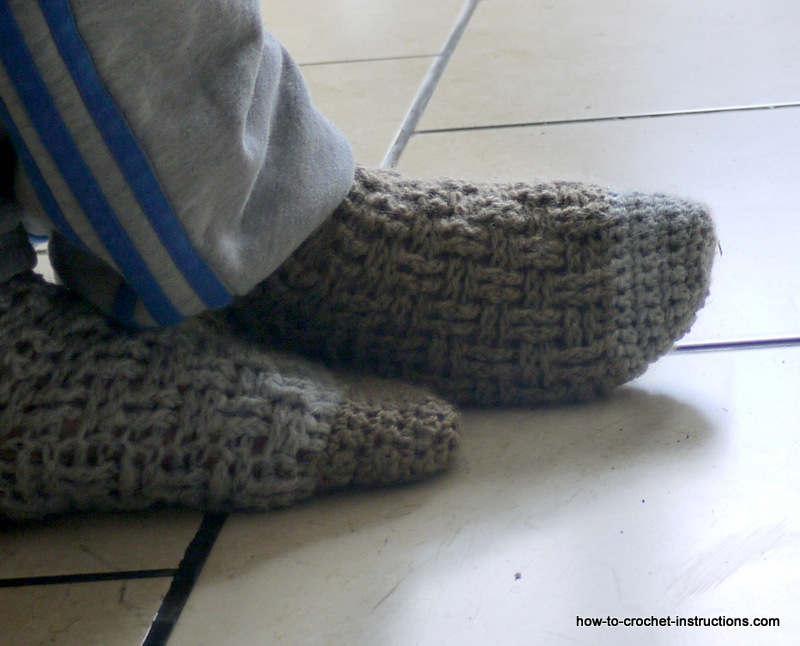 And according to this web page, crochet socks are HOT!